Dr. Ward R. Richter joined DRUQUEST on April 1 of 2002. He provides consulting services in toxicology, pathology and related disciplines. He is available to design preclinical testing strategies leading to INDs and NDAs, to assist in writing INDs or NDAs and to provide histopathology support and pathology peer reviews. Dr Richter also provides consultation on data management and information technology related to preclinical safety testing. Dr. Richter has many years of experience managing toxicology research and testing in an academic department, in a pharmaceutical company, in a chemical company and in three contract research organizations. He served on the first Scientific Advisory Board for NCTR and on ad hoc committees for NCI, NIEHS, and HEW, thus giving him an insight into the scientific and regulatory requirements of government agencies. He has managed research and testing programs for biopharmaceutical companies and for government agencies leading to IND and NDA submissions and has managed research for regulatory submissions for the EPA. Recently (1998-2002) he served as Director of the Safety Assessment Department for Southern Research Institute. The Group included the Departments of Toxicology, Pathology, ADME/PK and Bioanalytical Chemistry. Prior to joining Southern Research Institute, he served as Vice President of Research and Principal Scientist for Huntingdon Life Sciences in New Jersey, Vice President & Scientific Director for Pharmaco-LSR in the US and World-Wide Director of Pathology for Pharmaco-LSR, all at the same laboratory under two different owners. At the New Jersey facility, he directed departments of Toxicology, Pathology, Chemistry, PK/ADME and Information Technology. As Principal Scientist he served on the worldwide Corporate Scientific Guidance Committee and IT Planning Committee for the UK Corporation (Huntingdon) of 1700. 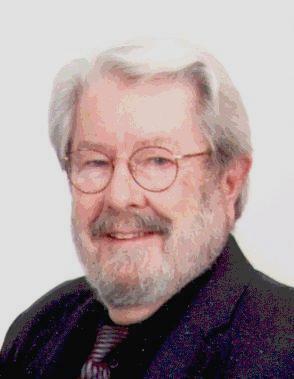 Earlier in his career, Dr. Richter conducted research on mechanisms of toxicity at Abbott Laboratories (1963-1968) and then as Associate Professor to Professor of Pathology at the University of Chicago Pritzker School of Medicine(1968-1980), where he directed the training of numerous graduate students and residents. While at the University, he also served as the Director of the Carlson Animal Research Facility, and he frequently served as a consultant to industry and government agencies. As his career progressed, he served as Director of the Pathology Division for IRDC (1980-1985), a contract research laboratory. Subsequently he was Director of Reproductive Toxicology, Genetic Toxicology, Pathology and Laboratory Animal Medicine for Chevron and later as Coordinator of Pesticide Product Safety for Chevron (1985-1990). In 1991 he joined Bio/dynamics in New Jersey, later known as Pharmaco-LSR, and subsequently sold to Huntingdon. Dr. Richter is also an expert in Information Technology, founding and later selling a software company. Recently he served on an advisory panel to the EPA for Electronic Commerce.